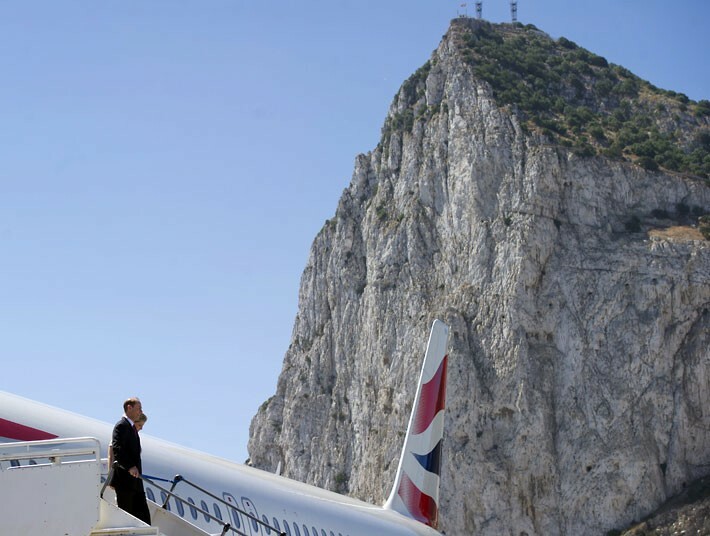 We’ve just had the most wonderful day in Gibraltar. 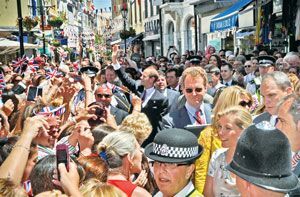 Most of the population turned out to greet the Earl and Countess of Wessex, here as part of the Queen’s Diamond Jubilee celebrations. Prince Edward and Countess Sophie arrived on a British Airways flight (do we have no self-respect any more?) at noon to the sound of the second 21 Gun Salute of the day, fired by Thomson’s Battery of the Royal Gibraltar Regiment. Gibraltar was decked out in red, white and blue with flags hanging from balconies and filling out the shop windows – and many of us also wearing the red and white of our Gibraltar national colours. Chief Minister Fabian Picardo (who TheEye actively campaigned against in the General Election last year – dreadful man but we’ll let that slide for the day) said that that whether it was Her Majesty the Queen or her youngest son, “the heart of British Gibraltar beats loud and we welcome every member of the Royal Family who cares to visit us with warmth, with affection and with an absolute certainty that Gibraltar will be British forever”. Police in the UK would be having a security panic meltdown right now. The remarkable thing about the 2nd photo is that it looks like a 1960s Ladybird photo-realist illustration.